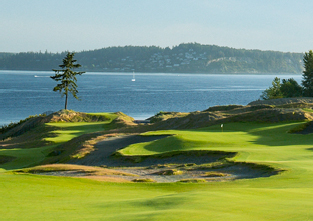 Chambers Bay, University Place, Washington - Golf course information and reviews. Address: 6320 Grandview Dr. W.
I played 18 on July 13 and was impressed with the true links conditions in the Irish style (hilly) not flat like scottish links and very hard and fast fairways. The condition of the course was fine but the greens being so new are not even close to US Open standards or even US am standards. They were rolling at a medium pace. There is still a ton of construction to be done for the open.... clubhouse, hotel, well everything. And don't think about parking near by apparently every one will be bussed in and they are going to run a train in to drop off and pick people up which is kinda cool but the tracks run no more then 30 feet from some holes..... How will Tiger handle this? The construction should of been well under way but Pierce County the course owner has money issues. I hope they get everything done because it should be an AWSOME venue for the USGA. And should translate to a great TV broadcast with the unique layout and beautiful scenery. Chambers Bay is well worth the $160 greens fee for non County residents and spend the extra $ for a caddie for the true experience. Marine Mike was my caddie and did a great job. Oh Yeah the best part of Chambers is the walking only rule. 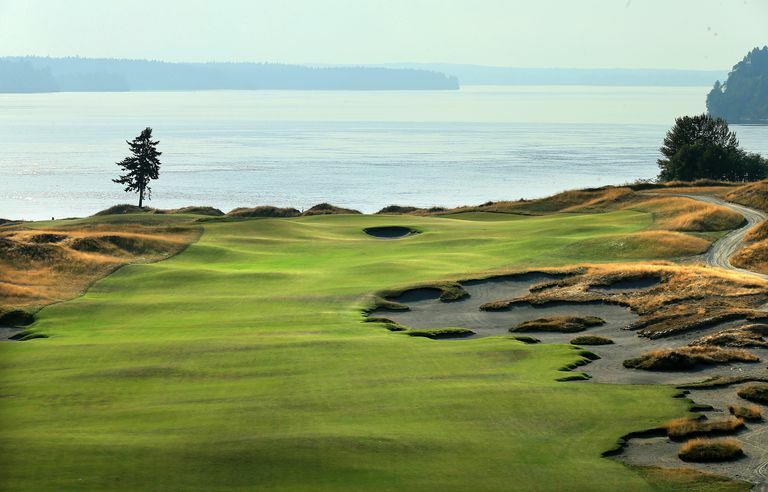 Add a course review for Chambers Bay. 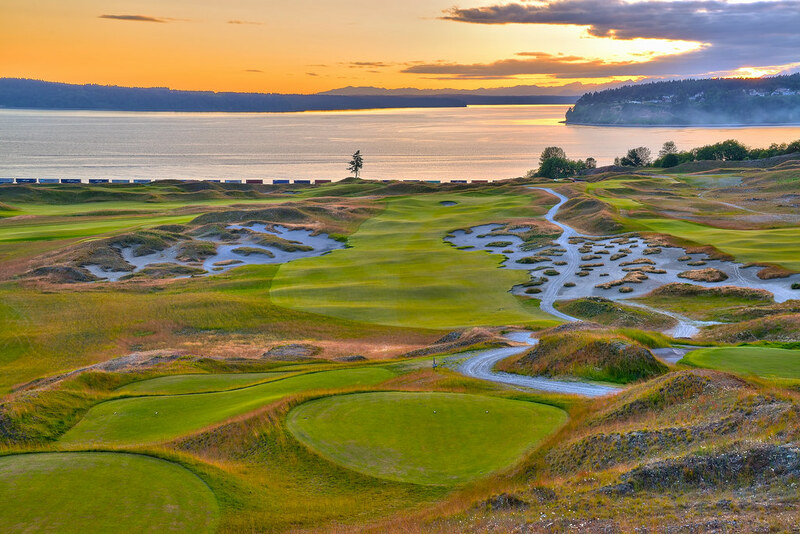 Edit/Delete course review for Chambers Bay.